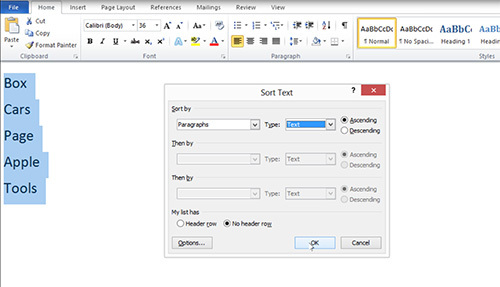 In this video tutorial we will show you how to alphabetize Word document. Open the Word document you want to edit. Select the part of the document you want to alphabetize. Press “Home” tab, and choose “Sort” option. In the opened window set the sort options and press “ОК”.